Small car Honda Brio has reached the South African shores and back in India, the car is also doing amazing things to Honda. Brio is able to get some quick volumes specially when the Honda car sales were low following the lack of demand in the market for petrol cars. As Honda India still is a petrol car maker only, it is one of the worst sufferers of the slack in demand and the slow down. The other car maker that has to suffer due to low demand for petrol cars was Maruti but it has retaliated with some of the best diesel car offerings. Now that Brio sales with start in South Africa, it is expected that it will ease pressure on Honda Cars India a little bit. As per various media reports, only 390 Brios have been shipped to the new destination and soon based on the demand Honda will be increasing the export numbers. It is believed that just as the small car by Honda got popular in India; it will also get the same amount of popularity in other destinations as well. This will also help the Japanese car maker utilize the production capacity of over 2500 Brio. In South Africa, the car will be competing with the Toyota Etios, Hyundai i10 and other cars which are exported from India. 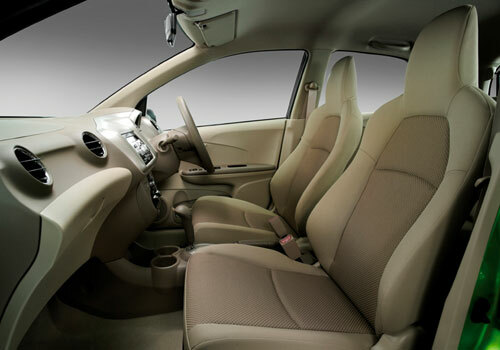 Meanwhile, Honda has also launched the Brio based Amaze sedan which is a great landmark in the history of Honda. Being a compact car the Amaze sedan has the qualities such as frugality of hatchback cars and the space and comfort of a sedan. Launched in petrol only model, the car will have a diesel engine slated for India as well. It is expected that the Amaze will transform the fate of Honda and it could be possible that the compact car could give a tough fight to Maruti Swift Dzire and Tata Indigo CS which are the two segment leaders currently.